Skin and hair care can be an exciting experience especially when somebody is experimenting with his own concoctions. Trying different components to create simple products which can make your hair softer, shinier and much easier to manage can be a very enjoyable practice for everyone. Using natural oils for hair oil treatment has always been a popular way to treat various hair afflictions including hair loss. Inroads in using hair oils and tonics have been made over the years and now it is easier to find products which are beneficial in hair care. Tireless efforts of man over the ages has resulted in discovering many kinds of oils which have been in use for almost as long as man has been civilized. One of the most recommended ways to treat hair is by using hot oil treatment which has its merits over using oils that are not warmed. It is believed, that using hot oil treatment is the best option if one desires the best results to nourish the scalp and enhance follicle stimulation by increasing blood flow.The oil is warmed before being applied to the scalp and massaged thoroughly into the hair. A warm towel is then used to wrap the head to keep the hair and scalp warm. This helps the oil to get absorbed much more easily and deeper and conditions the hair. The hair is then shampooed as usual. 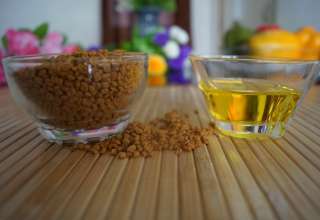 There are many different types of oils which can be used for hair oil treatment and they are quiet popular among many people. 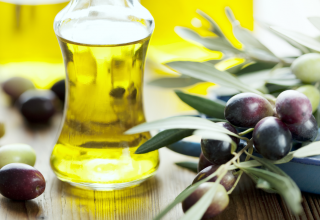 Some of the oils which are mostly used around the world include Jojoba oil, Olive oil, Almond oil, Coconut oil, Sesame seed oil and Mustard seed oil. They are called carrier or base oils and are used to dilute the essential oils and help them to get absorbed more easily into the scalp. There are essential natural oils used in combination with carrier oils in hair oil treatment during massaging and some of them include Castor oil which helps to enhance hair growth. Tara Mira or Eruca sativa seed oil is ideal for the treatment of dandruff, itchy scalp, head lice and other conditions. Pumpkin seed oil can also be used to create a soothing effect on the scalp. Apart from massaging the scalp essential oils have also been found to be beneficial to help to treat dry hair and split ends. 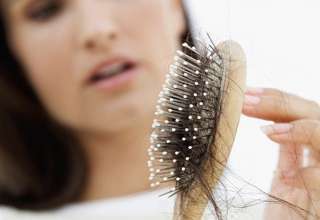 Taking all of this into account, one needs to choose the oil that he will use carefully taking into regard his hair type and the condition that might be afflicting the scalp. Next article What is paleo protein?